Dissolution of a corporation has much in common with the legal and financial aspects of a divorce between spouses. When a corporation dissolves, individual members disentangle their interests and responsibilities from those of other members of the corporation. 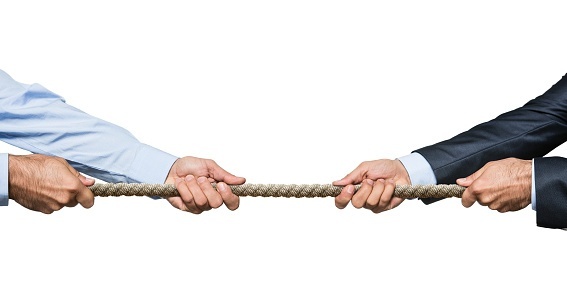 Can a business dispute be avoided? To ensure that a corporate divorce is completed fairly, properly and in compliance with all relevant laws and regulations, corporate officers and members seek assistance from lawyers experienced in this area of the law. In corporate divorce litigation, as in all legal practice areas handled by attorneys of Scura, Wigfield, Heyer & Stevens, LLP, clients' best interests come first. Our lawyers will never recommend that a client take actions which seem likely to rack up legal fees without delivering value. As in family law, we do not engage in "churning" by instigating repetitive legal maneuvers that do not bring about the desired result: successful and cost-effective dissolution of a corporation that is no longer functioning as originally envisioned. Corporate officers and shareholders are often concerned about asset protection with regard to creditors and potential litigants who may file lawsuits against a corporation. The sooner our lawyers have the opportunity to advise you about such matters, the more options you will have to avoid unwanted complications related to your position in a corporation that is experiencing difficulties. To be proactive and avoiding a business dispute, schedule an initial consultation with a New Jersey civil litigation lawyer regarding a corporate divorce or shareholder dispute. Contact us by phone or contact us online for a prompt response.